The increase in the profile of the drag world in recent years can only be seen as a good thing, broadening the range of alternative and queer voices represented in the arts. Italian artist Lorenzo Piccolo leads Alma, a Human Voice one of many shows at this year's Edinburgh Fringe Festival giving a platform to these queer voices. This one-person play follows dual narratives - the woman on the end of the phone of Jean Coteau's Human Voice, spiralling into depression when her lover is to marry another woman; and the story of Austrian artist Oskar Kokoschka who made a life-size doll of his lover and muse Alma Mahler. This Alessio Calciolari directed piece attempts to share both these stories, yet its success is mixed. Praise should go to Piccolo who pours his heart and soul into the roles of the unnamed woman and Alma. 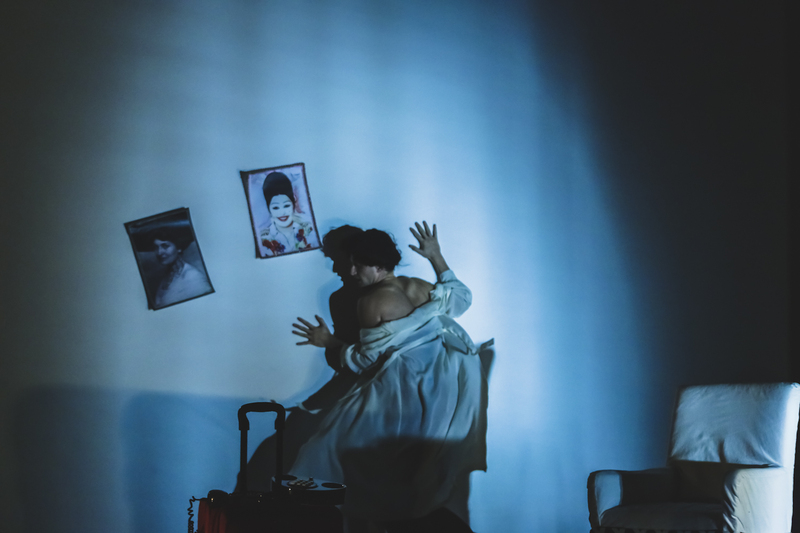 This is a performance that captures the shared parallels at the heart of both these tales: obsessive adoration and love, yet the solitude and loneliness which rear their head when this in unrequited. Piccolo's drag is not heavily made-up, instead attempting to showcase that neither of these women will be ever quite enough to tackle their own crises. Yet the dual narratives of the play can sometimes perplex as they blend between each other - and I wonder if the production would have been better suited choosing either Alma or A Human Voice as its focus? Nifty production techniques like Piccolo lip-syncing to an audio recording of A Human Voice help transport us into the narrative - but the actor's tendency to talk at the same time as the audio clip means the content can be a challenge to decipher. Alma, a Human Voice is a well-intentioned piece that manages to convey some of the shared parallels between these two tales, yet ultimately confuses by blending them in an unorganised and unsatisfying fashion - lessening both their respective impact.